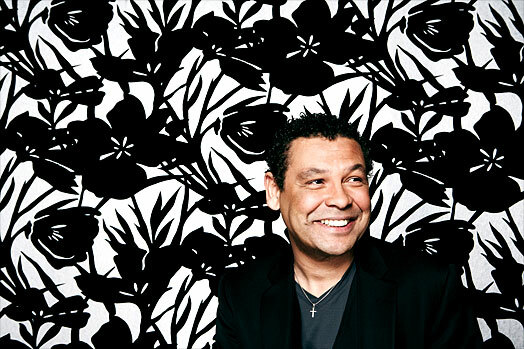 “If I say so myself, this 6th volume of The Craig Charles Funk & Soul Club may just be the best yet – we have so much top tunage on this album, I have just about managed to squeeze 2Lbs of funk into a 1lb bag – featuring seventeen cool contemporary cuts from 21st century purveyors of quality funky, soulful, jazzy, latin, gospel and bluesy sounds – and two original 1970’s, rare groove monsters from The Mighty Ryeders, and the equally mighty Brian Auger’s Oblivion Express! Volume 6’s finest funk comes courtesy The Get Up, and The Delvon Lamarr Organ Trio, sweet soul is supplied by Michelle David, Kizzy Crawford and Gizelle Smith, there’s jazzy business from Chip Wickham, Courtney Pine and Menagarie. We have latino lunacy courtesy Grupo Magnetico’s version of Papa Was A Rolling Stone, and sassy salsa from Orquesta Akokan direct from Cuba. Hair Today…A Flock of Seagulls Tease Return!